Hi there, welcome to the home of sea cliff climbing! 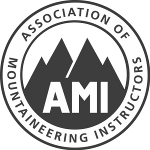 We offer a professional guiding and instruction service, specializing in personal guided climbing and trad skills courses on the sea-cliffs of Cornwall, Devon & Lundy Island in southwest England. The wild & wonderful coastline of southwest England offers some of the best traditional sea-cliff climbing in the UK if not the world and as such it is of major importance for this type of climbing. Our aim is to give you the opportunity to discover and climb some of its best routes as well as the chance to improve your own personal climbing skills with the help of our indepth local knowledge and 30 years experience to guide you. We guide and instruct all year round on demand, and will travel to meet you wherever you wish to climb, this gives you flexibility of venues and dates to suit your time, we offer guiding from one day to one week and we will taylor the day/days to suit your aims based on your experience and personal climbing grade and operate at grades from VD to E5 - so that covers your first touch of real rock through to extreme adventures. Get plenty of climbing from your days on the best routes at your chosen grade. Climb harder and push your limit with the aim of improving your personal climbing. Enjoy your first experience of climbing on “Real rock” and become a competent 2nd. Get an intro to the sea cliff climbing to fine tune the essential skills to allow you to go it alone. Give someone special a guided climbing day as a gift we can ensure they have a truly memorable day. Contact me to discuss your aims & needs. Personal guiding, from your first touch of “real rock” to “Extreme” trad adventure climbs, Stu Bradbury, MIA. 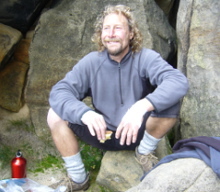 I have been climbing worldwide for the past 30 years, leading trad routes up to E7 as well as many new routes up to E6. My personal passion is for on sight Trad adventure climbing with a particular interest in sea cliffs and their wild and natural environment. 4 to 1 £50 each. Train/Plane pick up and drop offs can be arranged.